The Betsie Current Newspaper | Foreign Exchange Students: What Do They Think About Benzie? You are here: Home / Blog / Print Editions / 2015 / Foreign Exchange Students: What Do They Think About Benzie? Each of the last three years, Benzie Central High School has hosted more than a dozen students from all over the world – Germany, Norway, Denmark, Finland, Italy, Spain, Switzerland, Australia, Ecuador, Brazil, South Korea, Thailand, China, and next year the school hopes to host students from a new country, Japan. Students arrive in late August, just before school begins, and they stay until just after school ends in June. Most students average between 16 and 18 years of age. Every effort is made to ensure that students and host families are matched up based on interests, and many families have enjoyed the program so much that they have hosted all three years in a row. Not only does each student bring his or her own unique culture to share with their native Benzie counterparts, they also bring valuable resources from the state. Per pupil funding allots $7,200 per student in Michigan, and that includes foreign exchange students—that means these students have brought more than $300,000 to Benzie Central since 2012. This spring, the Benzie Central Girls Soccer team had five foreign exchange students: Amanda, 16, from Brazil; Emma, 17, from Norway; Julie, 17, from Denmark; Katrina, 18, from Finland; Sara, 18, from Mexico. 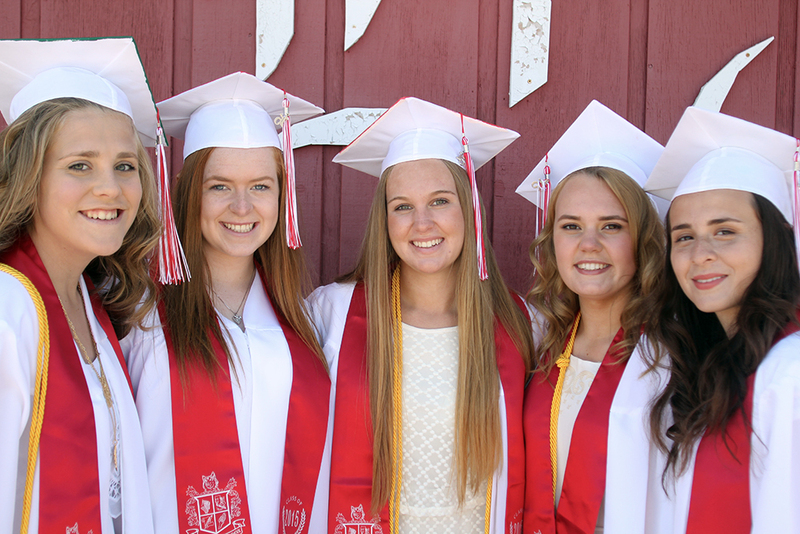 Continuing with our interview series on impactful Benzie County characters, The Betsie Current caught up with the girls at their graduation ceremony and asked them to reflect upon their year before they return home on June 6. Is your hometown bigger or smaller than Benzie? My city has 2 million people. I live outside the city; it’s similar in size. My city has a population of about 55,000 people, but it’s very spread out. The actual [downtown] city is a little bit smaller than Traverse City. Besides your host families, what are you going to miss most about Benzie County? All of the amazing people that made my year complete. School sports. This American way of life… I’m not ready to leave here! 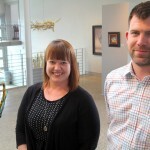 Benzie Central and a stronger feeling of living in a community. My friends (American and my exchange-student friends). The shopping possibilities and cheap prices. How much diversity there is in one country, meaning that if you go from Michigan to California to New York, or pretty much any other state, you can see some big differences! My friends. The beautiful places I visited. 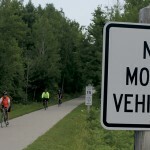 What are you going to miss least about Benzie County? The fact that we don’t have a mall here. The long distance between things and my friends! Besides your real families, what are you looking forward to most about going home? My friends. Eating good, as I used to before I came here. My cat. Looking forward to having more independence, which includes being able to take the public transport and my bike everywhere. My friends—believe it or not, but I really miss my high school! The learning culture is just very different, and I feel that it suits me better. And I miss some of the traditional foods like rye bread, black liquorish, etc. I look forward to summer in Mexico. Hanging out with my friends. Vacations with my family. Starting school. What’s your favorite memory from your time here? My time with the soccer team. All memories from sports are the best, and all memories with my host family. Going to Benzie Central and trying to feel what it’s like to be part of an American high school. The first weeks/month when everything was just so amazing and new, and there was just so much culture to experience and so many new things to see. Spending Christmas with my host family in Florida. And a bike ride that my friends and I did from Beulah to Frankfort. What was the biggest surprise about America? The size of the city. How cheap shopping is. How much school spirit there is and how important it is. I felt very dependent upon people, which I didn’t expect. I know it sounds funny, but I was really surprised at first how every place has a drive-in option! We don’t really have those, except for McDonald’s. The low temperatures and the huge loads of snow. How did Benzie fit or not fit the stereotype about America? The only way that Benzie is different than the rest of America is that the people here really enjoy nature. I didn’t think America was so beautiful until I saw Michigan. People are very kind and welcoming, as I heard before I came here. The stereotype of Michigan about how it really doesn’t have any public transportation and I guess the fact of how proud Americans are of living in America—proud in a good way—were both true. It sounds extremely stereotypical, but I was honestly imagining that there would be all kinds of different cliques—cheerleaders and football players—so in that way, I guess Benzie didn’t really fit to my expectations. But the expectation Benzie did meet was school spirit! Everyone is so supportive of their own school on sports, and I think it’s awesome. Plus how talkative people are. In our school [back home], students would never really strike up a conversation with the teacher during class nor outside of class, and here I felt like teachers and students were actually pretty good “friends” with each other. It didn’t fit the stereotype because our school didn’t have cheerleaders. Overall, it was better than what I had imagined. What is going to be hardest for you to explain to your friends back home about your time here? That Americans burp all the time in front of everyone! How great of an experience this was; I will never be able to explain all the feelings I’ve had through this journey. Homesickness, sad feelings, and insecurity—they don’t mean much when someone opens up their heart to a complete stranger and takes care of them like they’re their own family. I will never be able to explain how much I’ve changed and grown as a person. I’ve learned to appreciate little things and enjoy every moment. It is hard to explain how different of a life you can have here and for people to imagine what it feels like to be a teenager in America unless you have tried it. What it actually feels like to live in another country and not just go there for a three-week holiday. Because there’s a big difference. How beautiful Michigan is; they can look at pictures, but you have to see it with your own eyes. It’s not easy to describe. If you’re interested in hosting a student for the 2015-16 school year at Benzie Central or Frankfort, contact Ann Burket at bigmissy37@yahoo.com or call 231-690-0513. To learn more about the program, Council for Educational Travel USA (CETUSA), visit cetusa.org online. Top photo: Amanda, 16, from Brazil; Emma, 17, from Norway; Julie, 17, from Denmark; Katrina, 18, from Finland; Sara, 18, from Mexico. Photo by Aubrey Ann Parker.